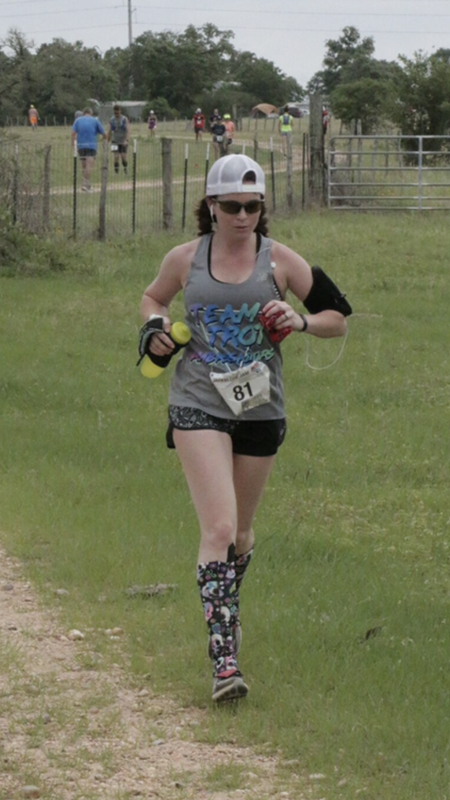 Emily Rials is an OG TROT Ambassador who is small in stature but HUGE in personality. Straight off her 3rd place finish at Jackelope Jam, Emily is eyeing Brazos Bend for her first 100k finish and induction into Buckle City, USA. Emily is the brains behind the popular Huntsville State Park Trail Run group, and she is always looking to spread her love of the trails to new people and places! What’s the most useless talent you have? All of my talents are legit, but I am a professional ghost crab hunter. Pretty proud of that..
What is the dumbest way you have been injured? Only one? Hmmm… when I was leaving my doctor’s office and I was running on the sidewalk back to my car, a toddler totally body slammed me and I ate pavement…That kid was so thug, and I still have the scar to prove it. What’s the most interesting thing you’ve read or seen this week? The updates coming from the Barkley’s. Tough year and STOKED to watch Maggie take a stab at it. What is the most distant place you’ve visited? The Bahamas (don’t laugh at me). I plan to travel more someday. My Altra Lone Peaks! I love them so much, there’s days they might go on the road with me. Just before dark, especially if it’s a summer evening and a storm is coming in while the sun is going down. Send Them Off! by Bastille and Cassette Tapes by L.I.F.T. My kids In running? Horseshoe 2017 50k – my first ultra. It was a flooded, muddy mosquito infested mess and I’m STOKED to have completed it!! What trait do you like most about yourself? I try to stay positive and find a way to keep smiling even when things are really difficult, and I hope that makes life a little easier for the people around me.